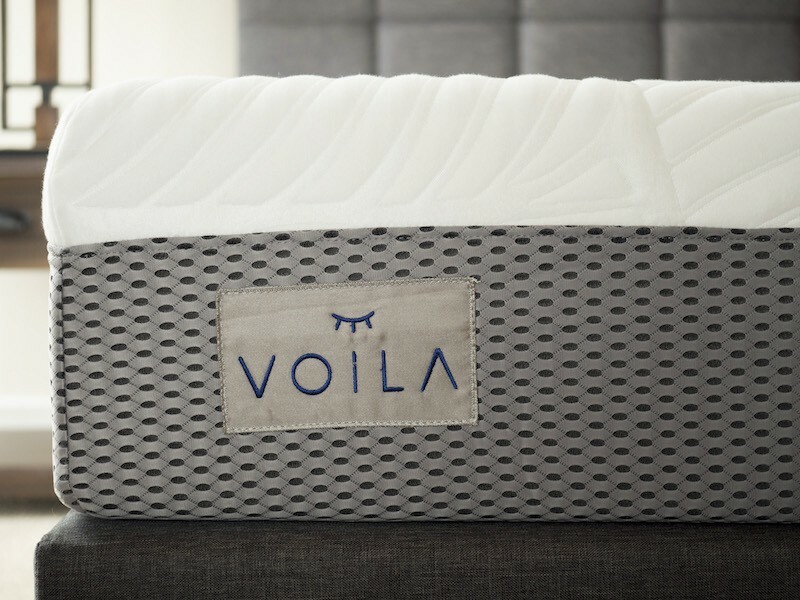 The Voila is a hybrid mattress that aims to give you the best of memory foam, latex, and springs. 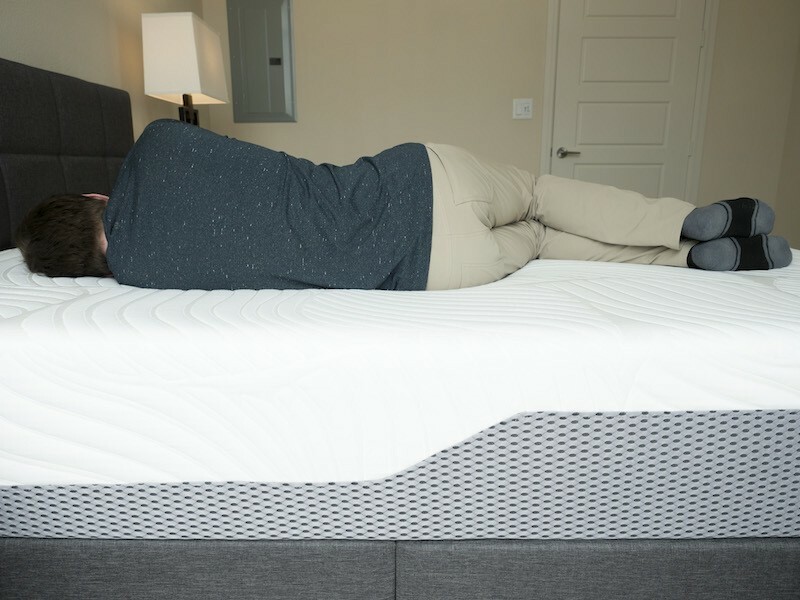 It has a unique design with more layers than almost any other mattress that I have seen or reviewed (see how it compares to other mattresses HERE). How did it fare in my testing? Read further for my full voila mattress review. You Are A Stomach Or Back Sleeper– The comfort layers aren’t overly thick and the coil system beneath them provides great support. The mattress is firmer than average in my opinion. Add all these things up, and I believe it’s a good match for stomach and back sleepers. 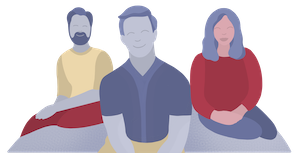 You Don’t Want To Sink Into Your Mattress Too Much– If you like memory foam but don’t want to sink into your mattress too much, this could be a good fit. The memory foam layers aren’t too thick and the latex and coils beneath them prevent you from sinking into the mattress too far. It provides a more sleeping “on” the mattress feel than sleeping “in” the mattress. 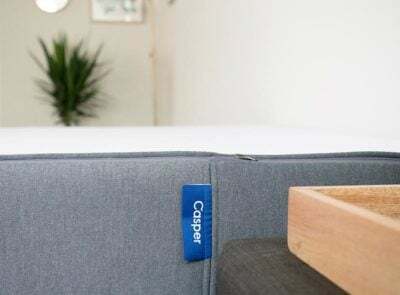 You Are Someone Who Likes A Firmer Mattress– To me, there is no question this mattress is firmer than average, and I think most people will agree. You Sleep On Your Side– To me, the mattress is a little too firm for side sleeping. I felt a little bit of pressure on my shoulders when I slept on it. The top memory foam layers are a little on the thin side and then there is a firmer layer underneath. For that reason, I think this is a better fit for stomach and back sleepers. 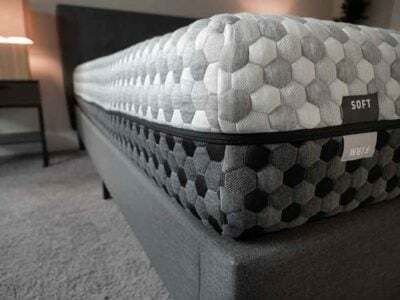 You Want To Really Sink Into Your Mattress– This mattress has memory foam on top, which allows you to sink into the mattress a tiny bit. However, because of the latex and coil layers beneath it, you don’t really sink into the mattress too much. You Want A Lot Of Bounce– If you are looking for the bounce of a pure latex or spring mattress, that’s not really the type of feel you get here. The top layers are memory foam. The thickness is roughly 2.5 inches. This is where you get pressure relief from. Below the memory foam is a thin layer of natural talalay latex. This will provide some bounce to the mattress, aid in cooling, and make sure you don’t get the feeling of getting stuck in your mattress. The support of the mattress comes from a 5-zone pocketed coil system. This is a highly durable material and the zones give you extra support under the heavier parts of your body where you need it the most. It also adds airflow to the mattress to help you sleep cool. There is also an outer edge poly foam system. This reinforces the sides of the bed and allows you to utilize more of the surface area of the mattress. The latex and zoned pocketed coils make this mattress highly supportive. They are also very durable materials as well. To me, the memory foam layers are a little on the thin side. This means that you if you weigh a certain amount and sleep on your side, you will press through to the firmer latex layer underneath. This could cause some people to feel pressure on their shoulders while sleeping on their side. 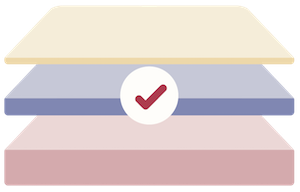 The mattress is constructed in a way to provide a memory foam feel without the feeling of getting stuck. With the latex layer and pocketed coils, I don’t expect people will have many issues with sleeping hot. This is the Medium version of the mattress. When I push my hand into the mattress, I feel the memory foam layers working. They are soft but very quickly it transitions to the firmer latex layer underneath. Because of this, the overall feel is pretty firm in my opinion. When I sleep on my side, my shoulders push through to the latex layer beneath. Overall it feels very supportive and you sink into the mattress a little bit but not too much. 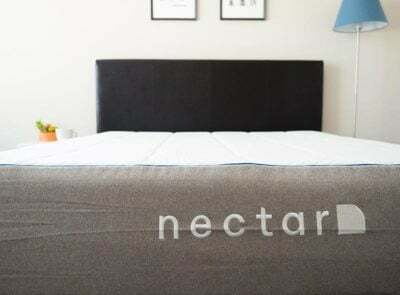 This mattress has memory foam in the top layer and uses pocketed coils in the support system. Because of that, it should perform well with motion isolation. As you can see from the video, it does in fact do a very nice job at isolating motion. This makes it a good match for couples. 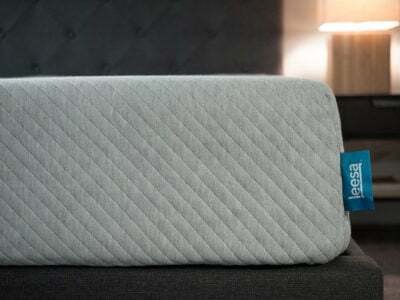 This mattress does have a special edge support system made of poly foam. In my experience, the edge support was a little bit better than average. 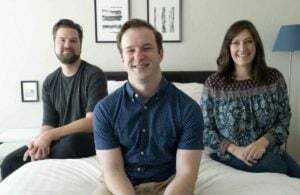 The picture below shows of exactly what it is like to sit on the edge of the mattress. What Makes This Mattress Stand Out? There’s a lot to like about this mattress and it can be a good fit for the right person. I think back and stomach sleepers are the best fit here, while side sleepers might want to look elsewhere. Overall I do think it’s a good value. I weight 275 lbs. I’m a side-sleeper and tend to sleep hot. What mattresses would you suggest I consider? I would take a look at the Purple 3 or 4. You can also take a look at the Avocado pillow top version.